So. You’ve decided to create an affiliate site that will earn you long-term passive income. And you got some links. But after all that work, you’re still not seeing the results you had hoped for. Either you are not making sales. Or you’re not making enough of them. You might be feeling unsure. Not knowing what exactly you should work on in order to make an effective change. Should you write more content? Or maybe you should write a different kind content? Do you need to change your affiliate links? Change the design? Perhaps you should narrow your niche? Or maybe broaden your niche? Or pick different keywords? And how about getting more traffic? Or maybe it’s all of the above? I know this feeling. I get it. I’ve been there. I am going to show you how to analyze your website, step-by-step, so that you can identify the biggest problem area and fix it. You will be able to pinpoint EXACTLY which issue you need to focus on. The first thing you need to do is take a step back and look at the big picture. Understand is that your business model is a PROCESS. It involves a sequence of events which need to occur in order for you to earn commissions. #1 First – A person needs to visit your site. 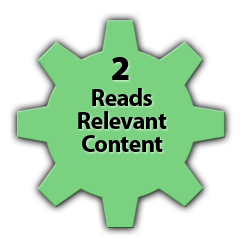 #2 Second – She must read your content: a blog post which sells something. #3 Third – She needs to click on an affiliate link. 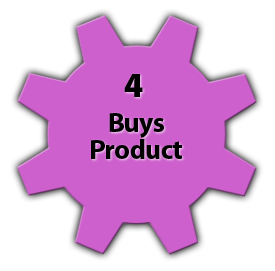 #4 Fourth – She must buy the product. #2 Second – He must arrive at an opt-in form. #3 Third – He needs to sign up to your list. #4 Fourth – He must receive emails from you and open them. #5 Fifth – He needs to click on an affiliate link. #6 Sixth – He must purchase the product. Looking at the images above, you’ll notice that each one of those numbered steps works as a gear in your business system. If one of those gears is broken, the whole process will slow down. And if one of the gears is stuck, the entire system will fail. On the other hand, if all the gears work smoothly, you WILL earn a great income from your site. The bottom line: If you are not earning affiliate commissions from your website, one of those gears is not turning like it should. Maybe you are not getting visitors. Maybe nobody is reading your content. Maybe your affiliate links aren’t getting clicked on. Or maybe people are clicking, but then they decide not to buy from your vendor. Note that exactly what you do and how you do it doesn’t matter for the purpose of this post (as long as it’s something that works). Because the point here is not to explain HOW to earn affiliate commissions (you need a whole course for that), but rather how to analyze your site and figure out WHAT to focus on. So you will no longer be overwhelmed. In fact, you will feel empowered. Look at it as a technique to “debug” or “troubleshoot” your site, no matter what your strategy you are using. 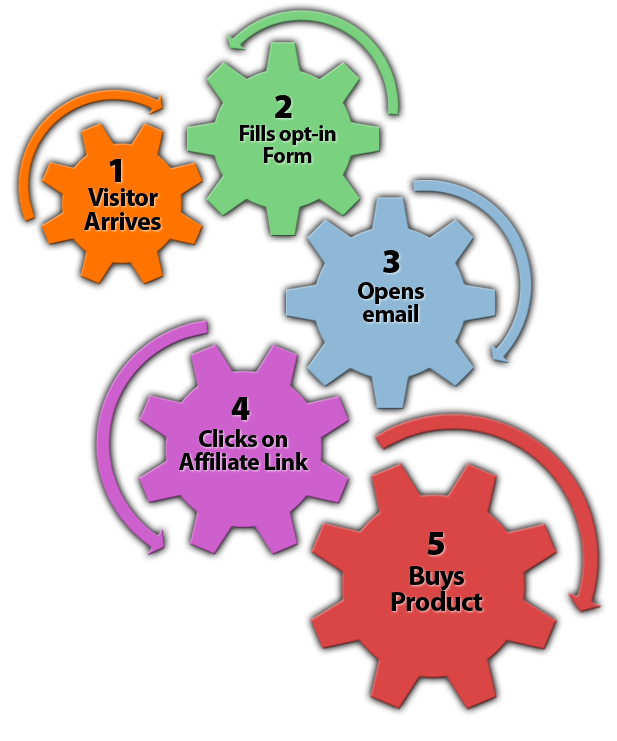 Let’s use the physical product affiliate site model as an example, and test each one of the relevant gears in order. We will see what’s going wrong, and we will come up with an action plan to fix what’s broken. At the end of this blog post is a video that shows how to use Google Analytics to get all the information you will need for this analysis. Step #1: Are people visiting your site? If nobody is coming to your site, then you won’t make any sales, and you won’t earn any commissions. So the first step is to check if people are indeed coming. 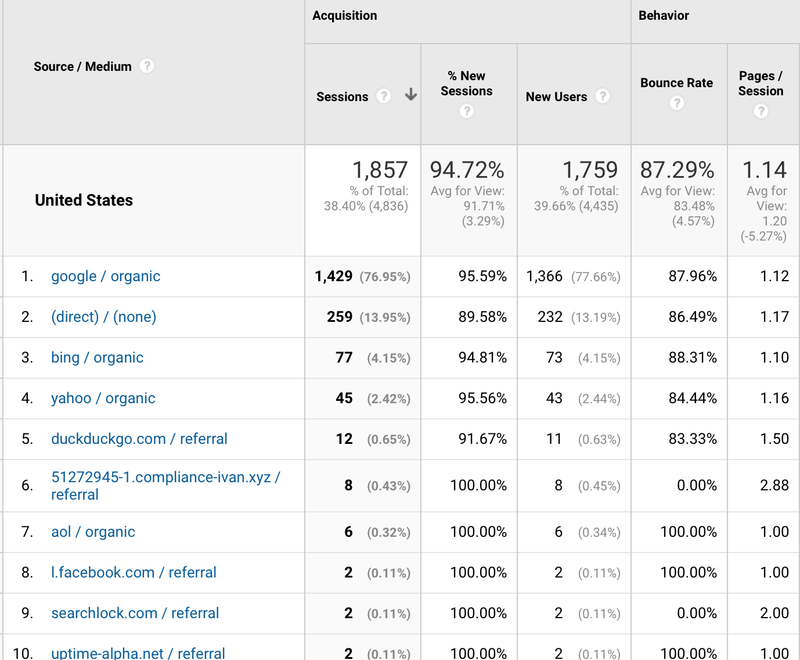 Login to your Google Analytics account, review the acquisition data from the last 3 months, and check that people are actually going to your site. Pay attention to where your visitors are coming from, and make sure they are valid sources: either search engines, or real sites with real traffic which are linking to you. Note: If your site sells only to the United States, then count visitors from the US only. This site has received 1,366 unique visits from Google in the past 3 months, so we know it’s getting visitors. It’s not getting traffic from other sites (called referral traffic), but that’s ok. Either one will do. Take a moment right now and check your site data to see if you are getting visitors. If you see that at least 100 people have come in from valid sources, then you can move on to the next step. If there are less than 100 people who have visited, then you should forget everything else right now, and focus on getting traffic to your site. Seriously. Without traffic you won’t get any sales. And working on your logo isn’t going to help. If you’re a Constant Profits Club or Income Steps Academy member, then you’ve already got a action plan for traffic. Follow it, and resist the temptation to spend your time on other things. Then, once you have had more visitors, you can come back to this post for the next steps. If you are not a member of one of my programs, then you’ll need to learn how to get traffic to your site. I can’t emphasize this enough: If you’re not getting traffic, then THAT is what you should be focusing on right now… and nothing else. Then – once you are getting visitors to your site – move on to step #2. Step #2: Are visitors reading your content? The next step is for your visitors to read content on your site. What’s key here is that when they get to your site, they see content that is relevant to a product that they want to buy. That relevant piece of content can be a product review. It can be a top-5 list. Or something else related to that product. As long as you are recommending a product and linking to it, there’s a chance that people will buy. 1. Visitors to read content that promotes a product. 2. Those visitors to actually want that product. Let’s check to see if your visitors are reading content that promotes a product. Go to Google Analytics again, and click on Landing Pages. Green pages are reviews of specific products (something like “Nikon d10 review”). Yellow pages promote products but are not very specific (something like “underwater digital cameras”). Red pages are purely informational (something like “how to take great pictures under water”). What we see in this example is that although this site is getting traffic, most of it is going to informational pages. The product-page with the highest amount of traffic is the third one, and that one has received only 94 visits in the past 3 months. So the best plan of action for this site would be to focus on getting more visitors to product pages. Build more links to that content. And get more traffic with commercial intent. If your product pages ARE getting visitors, then you’ll want to make sure they are the right kind: people who are interested in the product you are promoting. Are your visitors the right kind of visitors? You can easily identify the right kind of visitors by looking at HOW they got to your site. 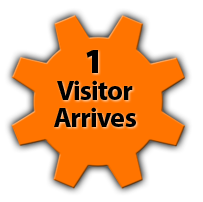 Look at the pages on your site that have received at least 100 visitors, and check where the visitors came from. If the visitors came from Google, did they get to your site by searching for the product you are promoting, or another phrase that signals potential interest in buying the product? For example, if your content is about the Nikon D10 camera and your visitors are coming from Google, you want to make sure that they landed there by searching for that specific product. “Nikon d10 vs Nikon d11”. “Nikon d11” (if your content is about the Nikon d10). Although there are advantages to attracting information-seekers to your site, you are not going to make any sales from them right now. You need visitors to your product pages if you want to earn money. The same thing goes for forums. If visitors are coming to your site by reading a thread about the Nikon d10 camera, then they may be ready to buy one. But if they get to your site after reading a thread about underwater photography, then they are much less likely to want to buy this specific camera. If the right visitors are coming to the right pages on your site, then you know this part of the process is working well, and it’s time to move on to the next step. If not, then you need to focus on getting more targeted traffic. For Google traffic – focus on ranking for keywords with commercial intent (ie keywords that imply the searcher wants to buy something). For traffic from online discussions – focus on discussions related to products and purchase decisions. Once this is done, move on to step #3. Step #3: Are visitors clicking on your affiliate links? Ok, so at this point you know people are visiting your site. They are visiting pages that are selling products. And chances are that they are actually looking to buy those products. Because it means that you know how to get traffic. And that is a big piece of the puzzle which many people are missing. The next question you need to ask yourself is whether visitors are clicking on your affiliate links. You can use Google Analytics for this, or or you can use your affiliate network’s stats. So in addition to getting more traffic, this site owner definitely needs to focus on improving the affiliate click-through rate. If visitors are clicking on your affiliate links, then great! Move on to question #4. If they are not, then you’ll want to make some changes to your content to make sure people end up clicking over to the store that is selling your products. Ask yourself: What can I do to encourage my readers to see my affiliate links and to click on them? Do you have at least one affiliate link with a strong call to action? Are you telling your visitors why they should click? Is the product you are linking to highly relevant to your content? Is this what your visitors really want to buy? Does your site look professional and authoritative? You don’t need anything fancy for this. The design should be clean, your content should have excellent spelling and grammar, and it should be easy to read. Based on the questions above, come up with a few ideas for improvement. And every time you make a change, wait a few days to see if clicks to the affiliate site increase. It’s a great way to learn what works for your future sites as well. While you’re waiting, keep working on that traffic. The more traffic you get, the more sales you will make – regardless of what your affiliate click-through rate is. 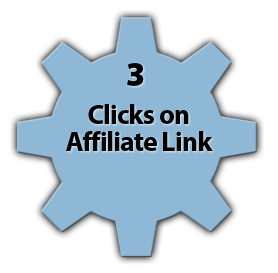 When you are done, you should have more people clicking on your affiliate links. At this point, if you are still not making as much money as you think you should, then it’s time to move on to step #4. Step #4: Are visitors actually buying products? If you are getting targeted visitors to your site who are clicking on your affiliate links, but you are still not making sales, then there are a few possibilities for what might be happening. 2. You are linking to the wrong product or a product that is not directly related to the main topic of your content. 4. People in your niche audience do not like to buy from the vendor you are promoting. 5. There is a problem on the side of the vendor: Either there is something wrong with their sales page or tracking, or they don’t know how to sell the product properly. 4. Make sure your readers get exactly what they expect when they get to the merchant’s site. It’s really important to keep a smooth transition between your content and the merchant’s sales page. 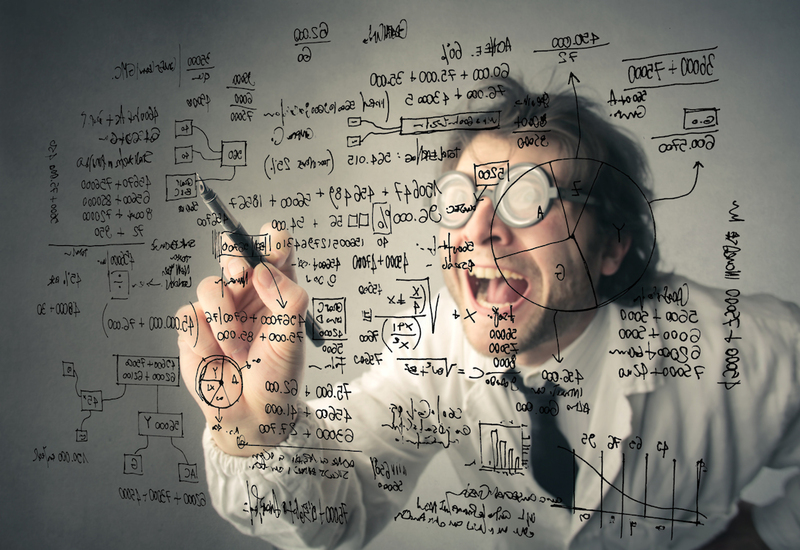 There should be no surprises if you want maximum conversions. 5. Try linking to a different store. 6. Try linking to a different product, if you can find something at least as relevant as what you are linking to now. These are all solutions I recommend trying. After you make a change, wait for another 100 clicks on your affiliate link, and check for improvements. Again, you’ll be doing a lot of waiting, so make sure you work on building traffic while you do that. If everything is working smoothly throughout the process and you are earning money, but not as much as you’d like to, then you need to work on getting more traffic. Multiply your traffic, and your income will multiply with it. What will YOU focus on next? The important thing is to divide the process you are using into small pieces so you can identify the parts that need to be improved. Then focus on each of these part until the system works well consistently. Be methodic in your approach. This will allow you to focus on the things that matter. You will reach your goals much faster than you ever would have if you spent your time and energy trying to improve everything on your site at once. You can do this for any business model you are following. And in fact – you can do this for any PART of your business as well. So, for example, if you are not getting enough traffic, think: what needs to occur in order for visitors to come to my site? Then figure out which element is not working as it should. And improve it. Got questions? Comments? Let me know below. I think my review articles need better calls to action. Thanks for writing this. Great! Let me know what improvements you see in sales. Congratulations on being a new Mother-in-law! I’m sure the wedding was exciting! I think I have nice articles/posts but am still not getting very good traffic. Google Anaytics showed 35 Users, 61 sessions and 146 page views. I was going to send 2 screen shots but there is no way to do that here. My site has been up since about last August. Lately I had 239 Clicks on Amazon but only 5 sales, two sales the month before that. I have a Facebook Fan page for Shop Gourmet Kitchen and have been active posting comments, photos with links to certain posts on my site, plus Shopping alerts and Holiday Entertaining tips and a few things to draw people to my site. I have been using Posirank for link boosting and guest posts over the last 3 months. It can get quite spendy! I have to continually remind them on I’m on the CPC six month deal or they are always kicking me off wholesale status. I comment regularly on the forum of http://www.coffeegeek.com and http://www.homebarista.com I try to write new posts regularly, but the Holidays slowed me down a little and now tax time will slow me down some, but will keep plugging along! Kathie, use the CPC action plans for traffic. I purposely didn’t go into the details of how to get traffic since it’s thoroughly covered in the training. Hi Sara, thanks for this great article 🙂 For step #3, what would be a good CTR? It’s going to vary by the niche, the product, and the type of keyword you are targeting. 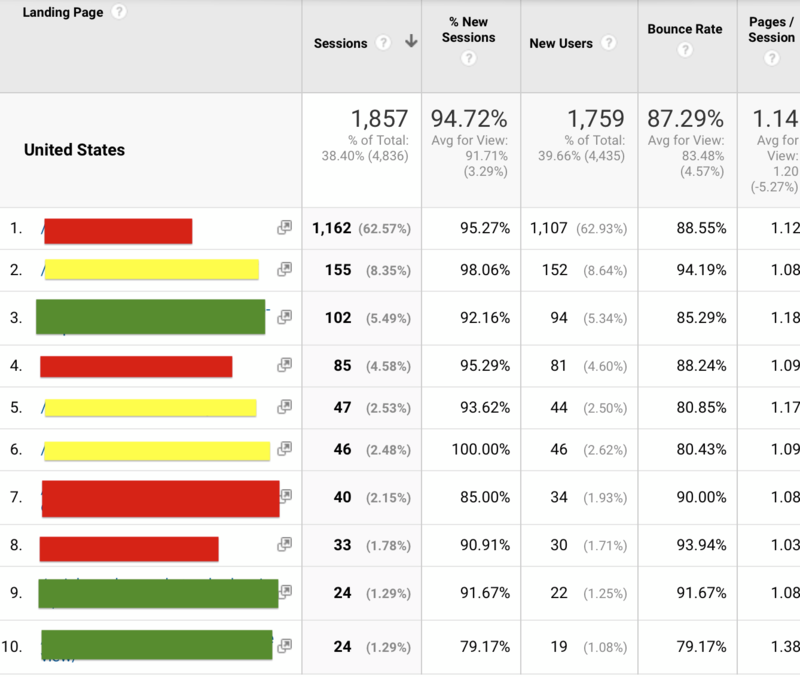 It also depends on whether you are looking at Google Analytics or other stats (GA will usually show fewer clicks). Once you’ve got a consistently high amount of traffic in a specific niche, you will have a better idea of what kind of CTR to shoot for. At that point you will also be able to do all kinds of testing and slowly increase your CTR overall. Kudos to Sara Young. This is actually the first video and content I found that explains in concise, easily understandable terms, how to use Google Analytics to break down strengths and weaknesses of an aspiring affiliate website. I have been studying online teachings for 2 years, this is the first post to finally,easily clarify how Google Analytics is used to improve traffic and CTR. Thank you for this excellent presentation. Cool! Thanks for the feedback, Dan. Thanks Sara for writing this detailed step by step troubleshooting guide. It’s exactly what I needed to outline next steps with my site. Thanks Sarah for this step by step troubleshooting guide on how to increase affiliate commissions. It has made clear what could be wrong with my niche site because the CTR is very low. 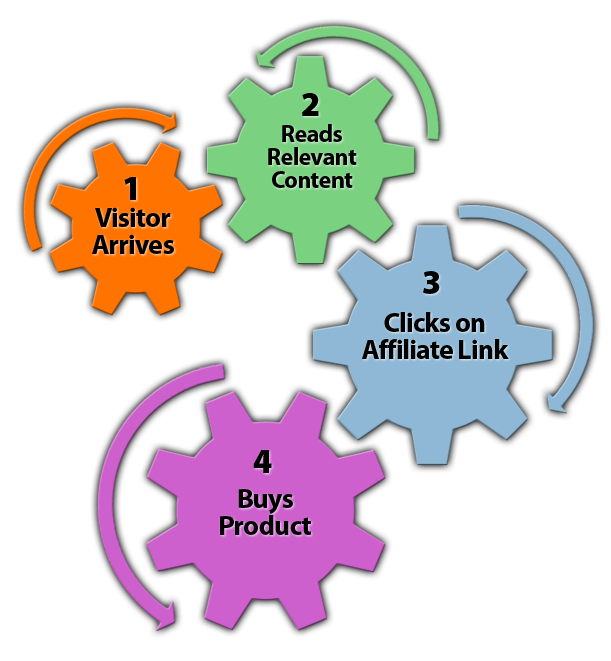 I’ll follow the steps outlined in your article to increase my affiliate link CTR. Awesome article! Can not wait to read more!